Here at the West Elk Equine we exclusively train using natural horsemanship and we have studied techniques of the greats of horse and mule training including Clint Anderson, Parelli, Buck Brannaman, Steve Edwards, and Ty Evans just to name a few. We’ve incorporated many of their training techniques with our own and tailor our training to each individual animal. Regardless of the experience of each animal we start with ground work and desensitization work to make sure the animal is well rounded. We enjoy finding and fixing gaps in training and serving our client’s mule and horse training needs. We specialize in training for trailing riding, hunting, packing, and ranch work. We can also help with developing the gaits of your horse or mule and solve problems. 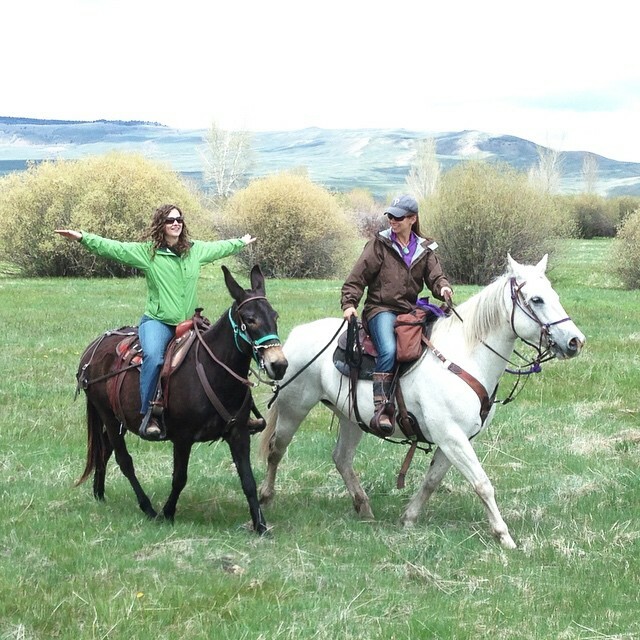 We also highly recommend coming to the ranch and getting lessons with your horse or mule so the training we provide can carry on with you. Please contact us for our rates and availability for training services. Or rates are dependent on the animal, whether you need boarding, and the amount of training required. We are currently full but we will have availability spring 2018. Please speak with us in advance as our training spots fill quickly. We are offering individual and group lessons. Please contact us to schedule a lesson.